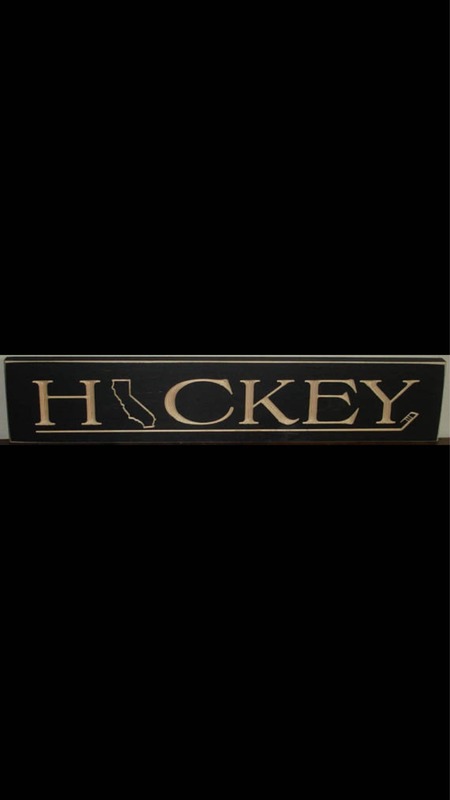 Our hockey state signs are sure to add a unique touch and conversation piece to any room. Perfect for anyone who loves the game of hockey! Wouldn't this look great in your house? Great for gift giving too! Don't forget the coach or team mom. They would love this too!